Your community of North San Antonio apartments is back with another blog, and this week’s post is all about brunch. In our humble opinion, brunch is the most important meal of the weekend. Breakfast can have the weekdays, but brunch is king when it comes to weekend dining. One of the benefits of living at Remington Ranch is being able to enjoy easy access to some of the best brunch spots in San Antonio. Our neighborhood is filled with top-notch eateries, and we all benefit from it. Once you read the blog post below, you should have no problem recommending a brunch spot for the next time you and your friends wake up with rumbling stomachs. That’s important too, because nothing ruins a Saturday faster than a disappointing brunch. Let’s get right to the post, shall we? Oh, and when you’re done reading through it, please be sure to share the link to this page with your friends and neighbors at your favorite community of apartments in North San Antonio. The first restaurant on our list is a family-owned San Antonio staple. When you walk in, you’ll be welcomed by a large sign reading, “The Cruz family welcomes you to Pancake Joe’s.” It only gets better from there. The pancake dishes themselves look like the kinds of meals your mom would have served you when you were sick and in need of some comfort food. You might not walk out of here feeling healthy, but you will feel satisfied. If you’re looking for a quaint little brunch restaurant for your next dining experience, look no further than Guenther House. Located in an actual house on the banks of the San Antonio River, Guenther House offers a lovely brunch experience complete with full plates of food, gorgeous views and ambiance that will make you want to stay there forever. The only downside is that Guenther House doesn’t take reservations, so show up early if you want to dine inside this house from the 1860s. Last but not least, we have a beloved San Antonio breakfast spot. Magnolia Pancake House is famous for its affordable pancake dishes, but don’t sleep on the pork hashbrowns dish. Everything seems to taste better when it’s served in this welcoming establishment, and everyone seems to be in a better mood when they’re dining here. WIth that, we’ve hit the end of our list of the best brunch restaurants in the neighborhood around your Remington Ranch community! We’d like to take this time to thank those of you who read the first post and came back to read the second! We’ll be back in December with two more brand new blogs, we promise. 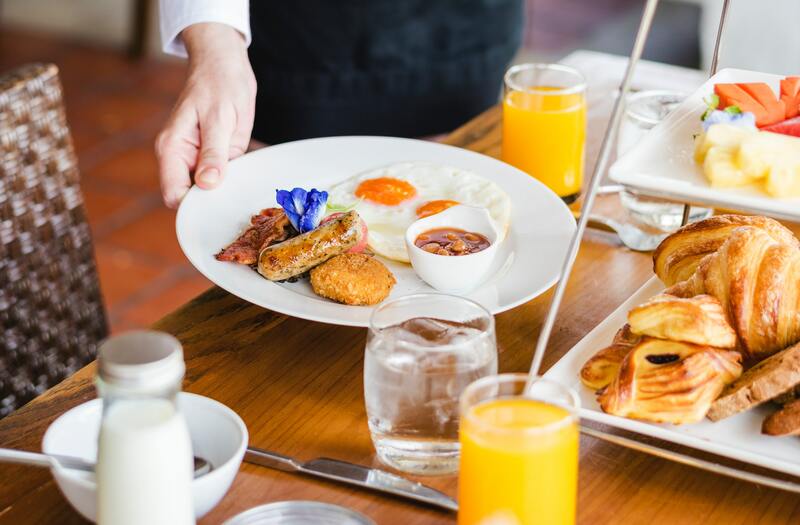 While you wait for those blogs to go live on our website, be sure to go out and check out some of these top-notch brunch spots in the area around Remington Ranch! We’ll be back soon with another brand new blog post for y’all! If you enjoyed this week’s post and you’d like to be among the first to read the next one when it goes up on our website, we encourage you to bookmark our blog page so you can enjoy easy access to the next post when it goes live. Until then, you can stay informed about everything happening at your community of apartments by following us on social media. That’s the fastest, easiest way to ensure you’re always in-the-know when it comes to upcoming resident events, special promotions and giveaways going on at Remington Ranch — the apartments 78247 residents choose for contemporary comfort.